Feel free to read through our news newsletter here or scroll through our older posts to stay up to date. As you might already know, The Yoga Flat has gone through quite the development over the period of time we have had the studio, now two studios. And we realize, that we now have so much information on so many platforms that it can be difficult to stay updated. 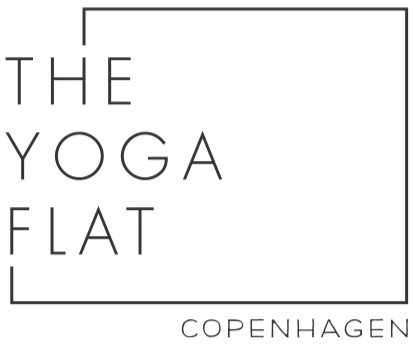 Therefore we now offer a monthly newsletter - so you can get an overview on what goes on at The Yoga Flat and to make sure not to miss out on our workshops, trainings and events. We opened the new Nørrebro Studio in Wesselsgade November 1st and we are so excited to see so many familiar as well as new faces in this beautiful space. As a part of this expansion we have had the pleasure of adding some great teachers to the family. Together we believe that we have truly created something great. As always we appreciate all you guys do and the energy you bring to the space as well as all the feedback you give us. Thank you for helping us create such a great community. It’s been such a pleasure being able to invite in some great new teachers to help us cover the now around 50 classes we have every week. Jacqueline is known for her easy going and light-hearted approach to the wisdom of yoga. She loves sharing her devotion to help awaking fully to ones journey in LIFE. Hrönn is known for her profound devotion to waking up to the fullness of LIFE, her willingness to be a vessel for the ancient wisdom of the yoga tradition and to evoke the transformational potentiality of every experience. When Christine stumbled upon Strala yoga, she found her way home. She has completed more than 600 hours of training with the Strala yoga faculty and is now sharing this way of being and moving on as well as off the mat. Kirstine is a flow geek who takes pride in guiding her classes with few but precise cues aimed at supporting the students practice. Nicci is devoted to self-compassionate yoga and to listening to the sensations felt in your body, mind and spirit. Her classes encourage you to tune in and seek a balance. We are so excited to already be able to share these amazing workshops happening over the next couple of months. We will be adding even more events a long the way as we have them scheduled. 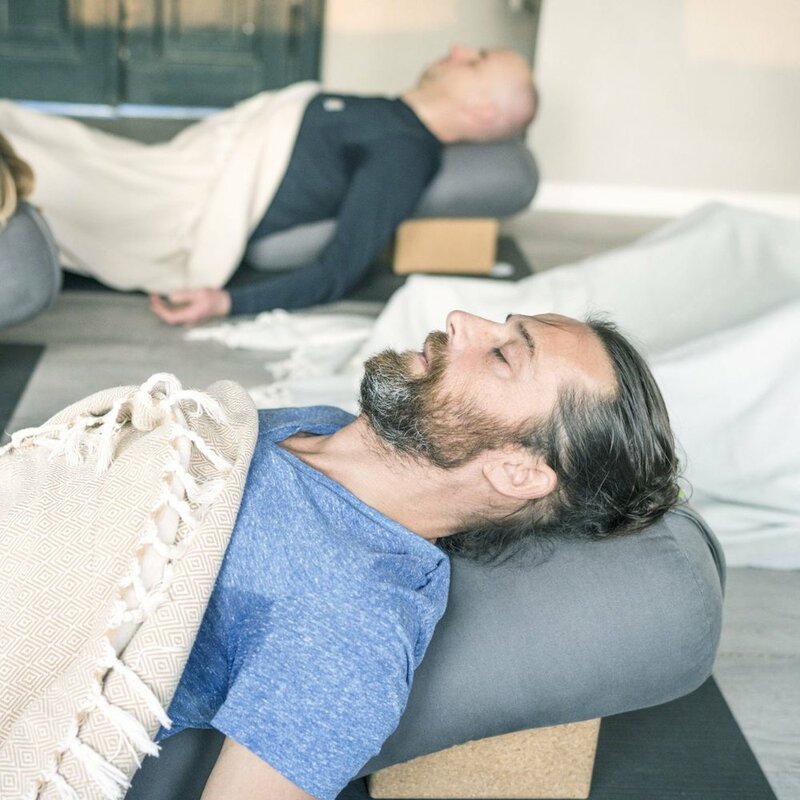 This Friday evening workshop is a gentle and restorative yoga practice, inviting harmony and balance back into your body and mind. A candlelit evening of magic dedicated to exploring the mind and body through the deep connection of therapeutic yoga and sound frequencies. If asana were words, vinyasa is poetry. Join David in appreciating the journeying aspect of vinyasa, cultivating fluidity and ultimately ‘presence’ in practice. To have courage is to tell the story of who you are with your whole heart. This dynamic workshop invites us to face the volatile nature of fear through lots of exploring arm balancing and inversions, studying our responses towards risk-taking as a mirror to how we deal with challenges off the mat. This immersion is for yoga teachers who want to develop their range of freedom in teaching. By getting more knowledge on how to sequence poses it supports the teacher to create yoga classes that potentially takes the students deeper in to their practice.